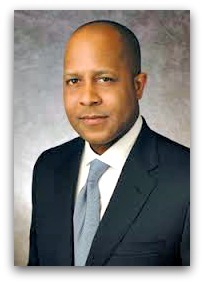 As justice/homeland security correspondent for CBS News, Jeff Pegues has special insight into the police/community relations crisis that’s dominated American headlines for the past couple of years. As an African American man, he’s got a different — but very important — perspective too. Which is why the 1988 Staples High School graduate’s new book — Black and Blue: Inside the Divide Between the Police and Black America — is such a crucial addition to this national debate. Earlier this week — in the midst of tracking down sources for the still-developing Russian-presidential-campaign-hacking story — Pegues talked about his project. We had not spoken for 3 decades — I was his youth soccer coach, before he became a Staples football star, earned a scholarship to Miami University in Ohio and rose through the broadcast ranks to WABC-TV news, then 3 years ago CBS national news — but he was eager to chat. 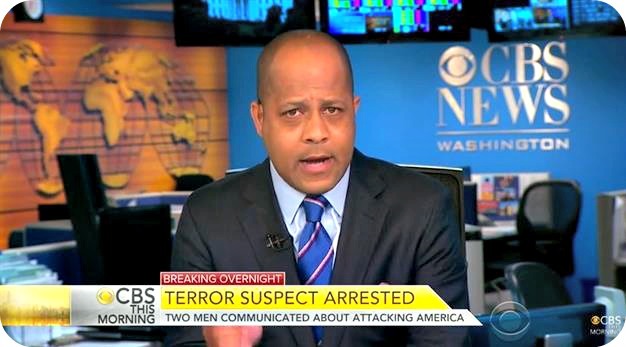 Jerff Pegues, reporting for CBS News. His parents grew up in the Deep South — Montgomery and Birmingham — during the heart of the civil rights movement. He’s related on his mother’s side to Rosa Parks. During his 25 years in the news business, Pegues worked on many law enforcement stories. He’s developed strong relationships with police officers, commanders and federal investigators. As he covered a string of police shootings – from Ferguson through Tulsa, Charlotte and more — he realized he was in a unique position. “It’s important to dispel myths, and get all sides of the story in one place,” Pegues says. Speaking with hundreds of subjects — officers, police chiefs and union leaders, community activists, even FBI director (and fellow former Westporter) James Comey — Pegues offers an unbiased view from both sides of the cop-community divide. Police speak about the pressure to enforce laws, involve themselves in social issues and work in neighborhoods that have been neglected for years. Black citizens talk about confrontations that have happened for decades; finally, they say, there is proof that they are being singled out, harassed, even killed. A police chief remarks that officers feel there are targets on their backs. “I thought, ‘a lot of African Americans feel the same way,'” Pegues says. “But they can’t take that ‘uniform’ off. Pegues plays it right down the middle. “I have friends and family on both sides,” he says. Writing about a subject with new headlines nearly every week — though the book will not be published until spring — is not easy. For example, Pegues says, earlier this week the president of the International Association of Chiefs of Police apologized for historic mistreatment of minorities by police. That came too late to include in Black and Blue. But stories like those will bring readers to his book. Once there, Pegues’ clear, coherent and constructive approach to cop/community relations will draw them in. 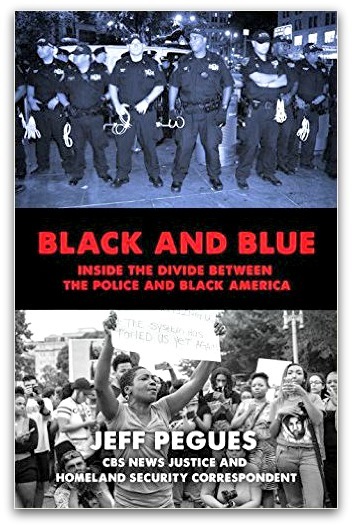 And — whether they are police officers, black activists or any other American — Jeff Pegues’ book will get us all thinking. Click here for “06880+”: The easy way to publicize upcoming events, sell items, find or advertise your service, ask questions, etc. It’s the “06880” community bulletin board! This entry was posted in Media, People, Police, Politics, Staples HS and tagged "Black and Blue: Inside the Divide Between the Police and Black America", CBS News, Jeff Pegues, police shootings, police/community relations. Bookmark the permalink. Very informative post. Am looking forward to reading the book, and thanks for the heads up. We need more of this kind of thing. Perhaps you can convince Mr.Peuges to speak at the Westport Library? That’s an excellent idea and I hope the library is working on that. Perhaps followed (in the same month for example) by people of colour who are Westporters describing the institutionalised racism from local authorities & racism from fellow Westporters & Fairfielders that they are subjected to here. Including from people who consider themselves to be wellmeaning people.